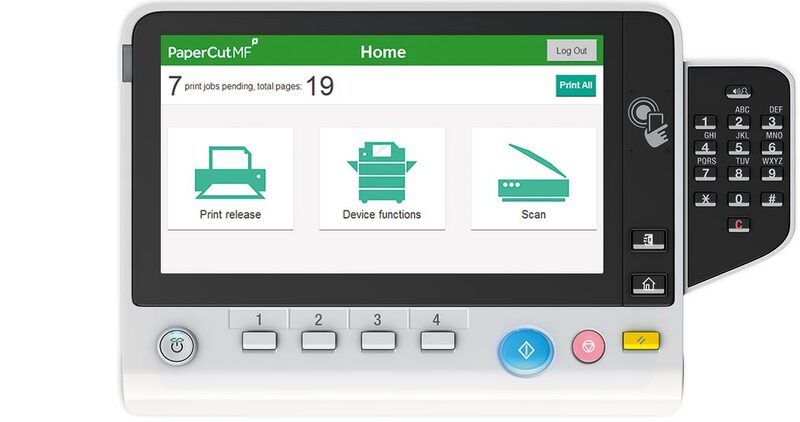 PaperCut MF - print, copy and scanning control for Sindoh MFPs. Output management and cost recovery on Sindoh multifunction devices. Take full control and manage your printing, copying, scanning and faxing with PaperCut MF on Sindoh printers and multifunction devices. Need to reduce cost and waste in your business? 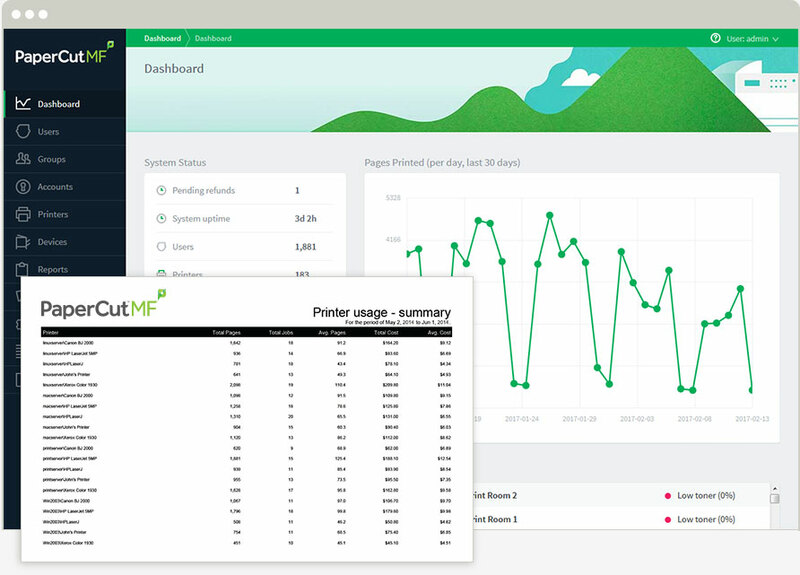 No matter what your network size, it's simple with print policies and rules-based printing to define what is printed, how it is printed and where it is printed. Report usage and costs by page, user, cost center/department, device and function and track environmental savings and benefits. *Integration with PaperCut MF has been developed by Sindoh in partnership with PaperCut. Please contact your local Sindoh partner for the solution software and documentation.